🍁🍂 Good Sunday morning, and welcome to fall — the autumnal equinox arrived in the U.S. at 9:54 p.m. ET. Republicans at both ends of Pennsylvania Avenue are edgy about yesterday's tentative agreement for Christine Blasey Ford, Judge Brett Kavanaugh's accuser, to testify publicly before the Senate Judiciary Committee on Thursday. Republicans have to let Ford testify if they're going to confirm Kavanaugh to the Supreme Court, as top GOP sources still (nervously) predict. 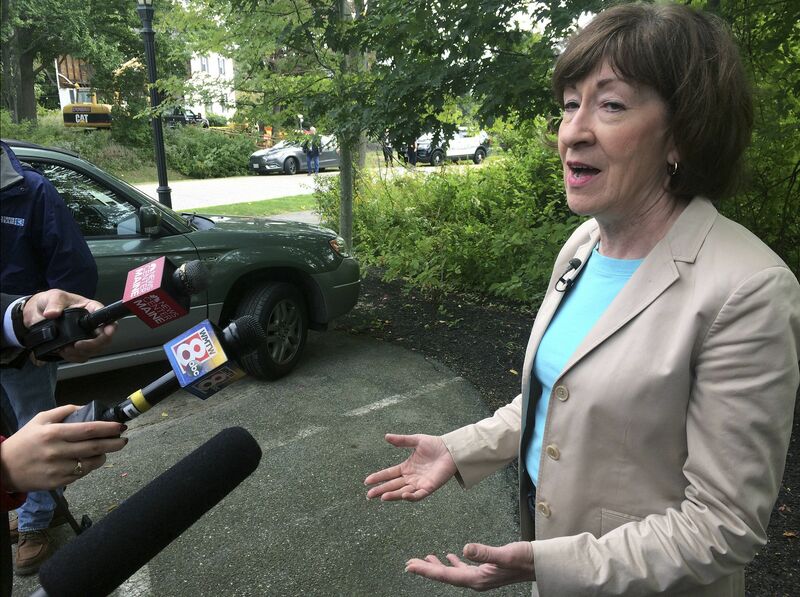 And while Republicans involved in Kavanaugh’s confirmation tell Swan that the elderly male Republican senators are approaching this gingerly, there’s nervousness in the sources' voices because there’s so much room for error. And one top Republican texted me: "Most Republicans know the party has already lost college women, alienated by Trump’s style and behavior. Cannot lose them twice." "In his answers during the practice runs, aides said, Kavanaugh condemned sexual assault and carefully avoided seeming to discredit Christine Blasey Ford." "But Kavanaugh grew frustrated when it came to questions that dug into his private life, particularly his drinking habits and his sexual proclivities." 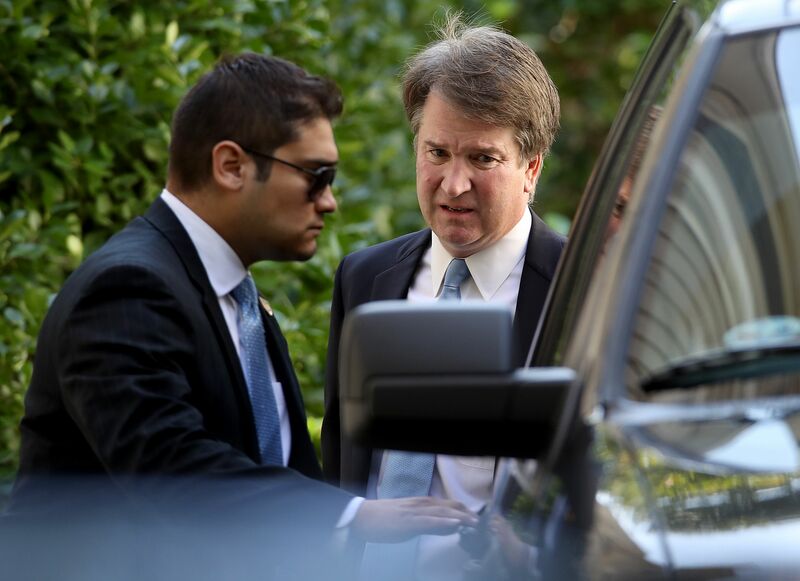 "He declined to answer some questions altogether, saying they were too personal ... 'I’m not going to answer that,' Kavanaugh said at one point according to a senior White House official, who said that the questions were designed to go over the line and that he struck the right tone." The bottom line: "Kavanaugh has complained about the stories focusing on his family and has grown 'incredibly frustrated' at times, in the words of one associate, but he has not sought to drop out of the running ... He has said privately and publicly that he is eager to testify." Be smart, from Jonathan Swan: This leak from the (until now) closely guarded Kavanaugh prep room is extraordinary and damaging. It provides a big, sensitive target for Democratic questioning at Thursday’s hearing. "The Trump administration has imposed more stringent rules and vetting." "The requirements include the submission of fingerprints by all adults in the household where a migrant child will live." 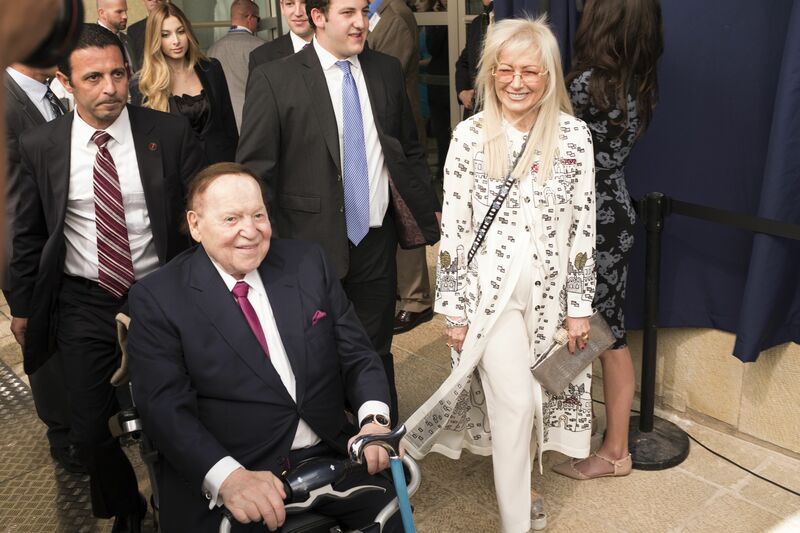 "Many of the parents ... are poor and ... share homes with others who are unrelated or in the country illegally. Many of those roommates have been reluctant to submit their fingerprints." "[T]his information will now be shared with Immigration and Customs Enforcement — something that did not occur in the past. 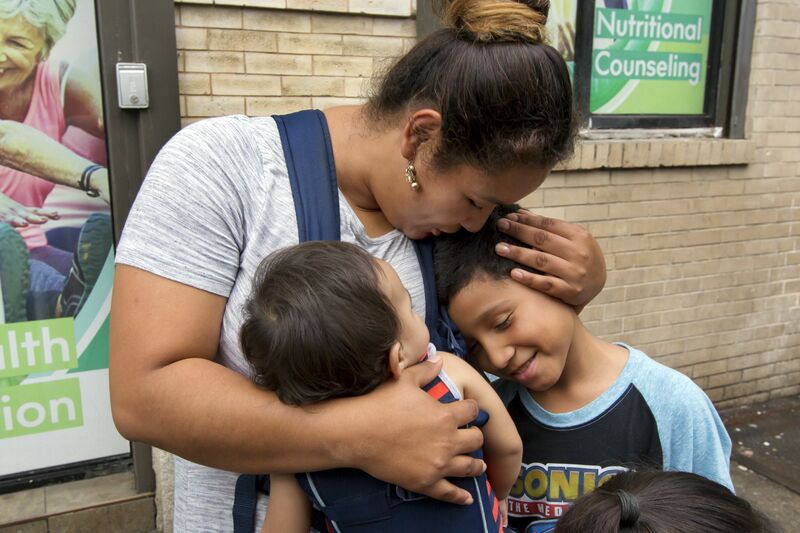 ICE said this week that the agency has arrested 41 sponsors [adults who take custody of immigrant children] since the agencies started sharing information in June." Stunning stat: "More than 12,000 [migrant] children are now in government shelters, compared with 2,400 in May 2017." "The move could force millions of poor immigrants who rely on public assistance for food and shelter to make a difficult choice between accepting financial help and seeking a green card to live and work legally" in the U.S. 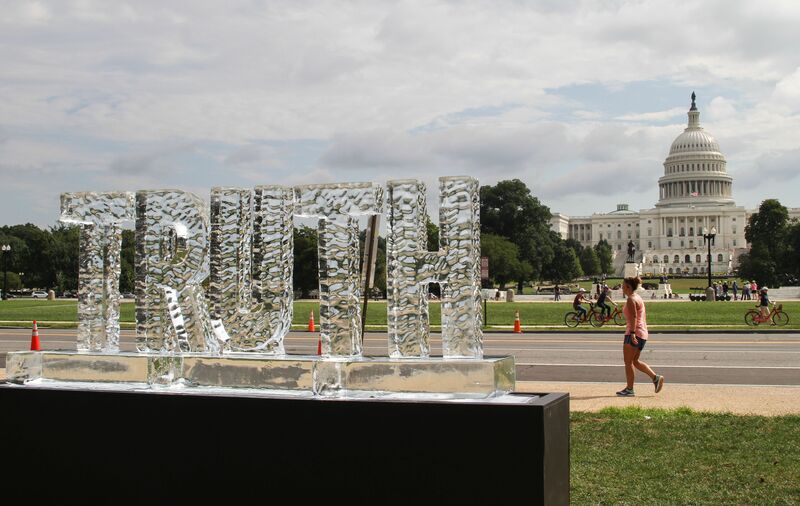 When "truth" melts: This ice sculpture of the word "truth" was installed yesterday by the artistic collaboration Ligorano/Reese, with the U.S. Capitol in the background, to protest the caustic state of politics. "Truth Be Told" is part of the Melted Away series by Nora Ligorano and Marshall Reese, who are both 62 years old and have collaborated for nearly four decades. 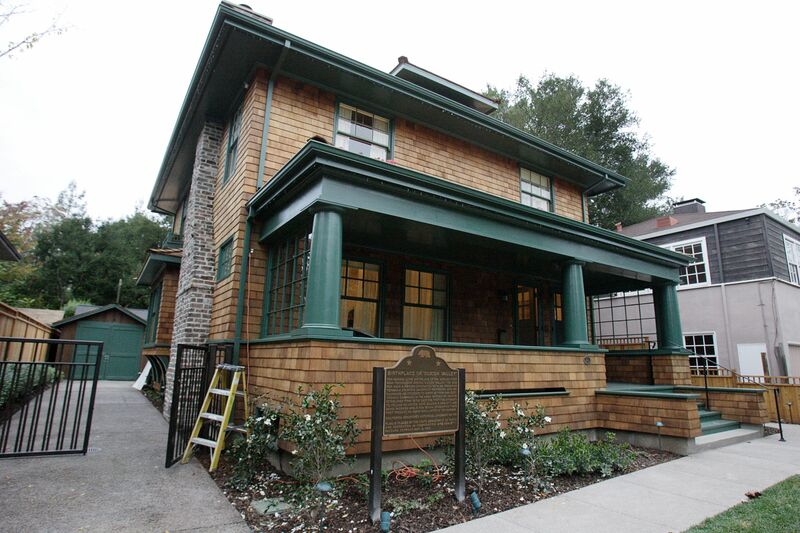 Why it matters: As Democrat Gavin Newsom and Republican John Cox campaign for governor, taxes paid "in Palo Alto’s 94301 and a handful of other affluent ZIP Codes ... will determine whether promises to build more houses, overhaul healthcare or invest in schools can actually be kept." Be smart: "Economists and politicians have long said that California’s volatile revenue base leaves the state at risk for a painful budgetary reckoning when the economy slumps." "'Blue Boy' is getting a long-awaited makeover, and the public can watch as one of the world's most recognizable paintings gets ... some splashes of fresh paint ... in time for the eternally youthful adolescent to mark his 250th birthday," AP's John Rogers reports from San Marino, Calif.
"Thomas Gainsborough's stunning oil on canvas [c. 1770] featuring a British youth dressed nearly all in blue has been one of the most sought-out attractions at Southern California's Huntington Library, Art Collections and Botanical Gardens since its arrival in 1921." Visitors will be able to walk up and watch what she's doing. 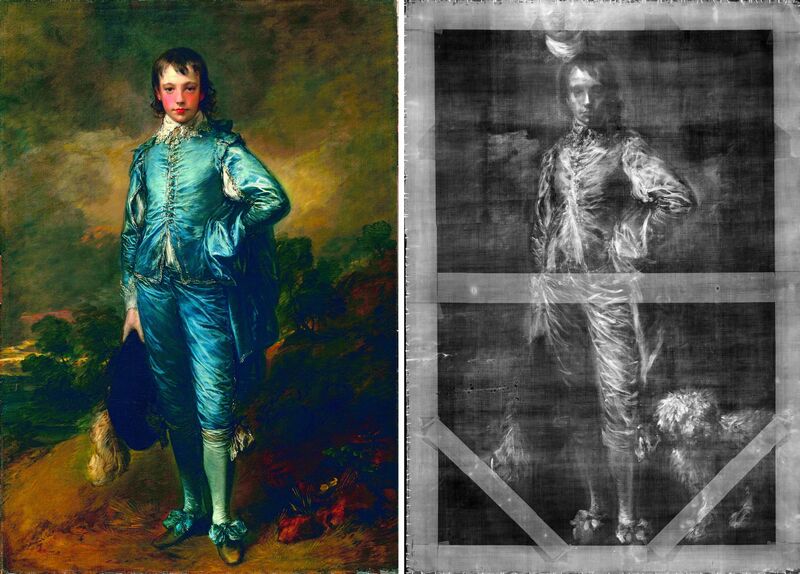 "'Blue Boy,' it turns out, ... had a dog until Gainsborough painted it out of the picture. The kid's furry friend was discovered in a 1994 X-ray." "You can still see its front paws, which Gainsborough cleverly turned into rocks when he blended the rest of the canine into the landscape."